The long term recording of humidity and temperature conditions is very important in the pharmaceutical industry, production processes, storage, test facilities and many other areas. Once logged, the temperature and humidity data can be evaluated statistically. This provides valuable information on conditions that can have an influence on people and product quality. ROTRONIC data loggers fulfill the FDA requirements of 21 CFR Part 11 and GAMP 5. They are extremely accurate and easy to use. The data can be accessed wirelessly, via a network, or directly with the HW4 software. The data can be saved in tamper-proof LOG mode or in Excel files. 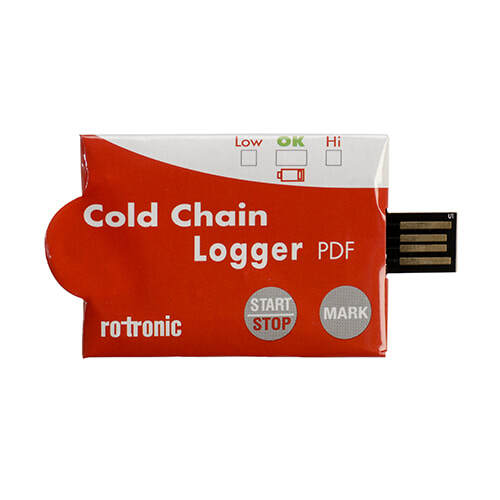 For added security, the measured data from the data logger is monitored and stored redundantly online on a server or PC. A large range of interchangeable probes enables high flexibility in use and simple maintenance of the system. The long term data logging of humidity and temperature conditions is very important in pharmaceutical production processes, storage, test facilities and many other areas. Once logged, the temperature and humidity data can be evaluated statistically to map or optimize a particular process or storage area providing valuable information on conditions that have an influence on people’s lives and product quality/efficacy.